Canada offers plenty of wide-open spaces with endless spectacular views. 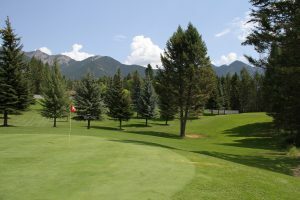 One area in British Columbia that offers both of those elements is Edgewater Hilltop Par 3 Golf & RV Park, located in the small farming community of Edgewater. 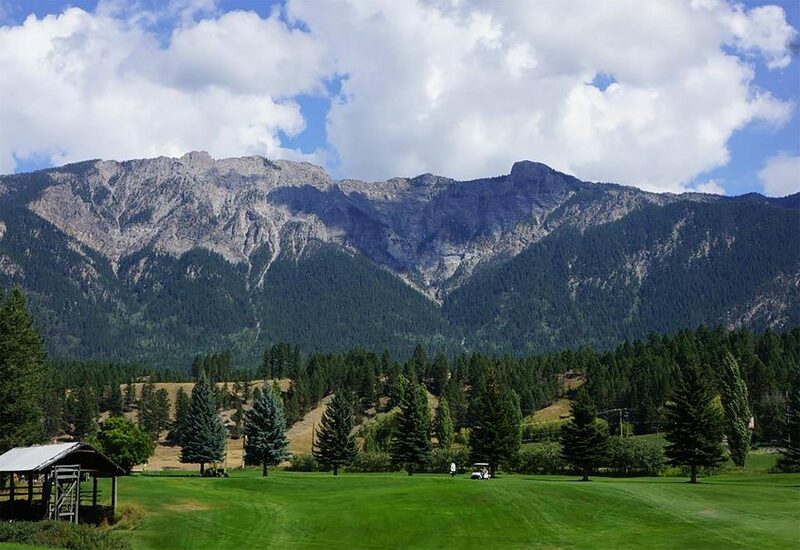 Set in the picturesque Columbia Valley, the family-owned and operated Edgewater Hilltop Par 3 Golf & RV Park is nestled between the Rocky Mountains and Purcell Mountain range and is a favorite of those who’ve been lucky enough to discover this hidden gem. For the last 83 years, the Lautrup family has owned the property that now includes the nine-hole golf course and 12 site RV park. In 1994, 40 acres of the Lautrup farmland was converted into a golf course, and it’s been a popular draw ever since. This bucolic track a few miles from Radium Hot Springs is a par 27 and a short 1,101 yards. A great place to practice your short game, the signature hole at Edgewater Hilltop Par 3 is the 83-yard, par 3, 7th. From an elevated tee box, your eye catches the pond on the right and the steep gully to the left. Regardless of the outcome, you can’t help but enjoy the view! Walking the course takes about an hour-and-a-half, depending on how many photos you take! In year’s past, the family owned and operated a small motel on the property. Keeping with that entrepreneurial spirit, current owners George and Jeannette Lautrup added a small RV park in 2015. Seven of the sites offer full hookups that include 30 amp electrical, water, sewer, fire pits, and picnic tables. Other amenities include free Wi-Fi, newly-constructed washrooms with showers, and laundry facilities. In addition to the golf course and fantastic scenery, Edgewater Hilltop Par 3 Golf & RV Park is also known by the locals as one of the best places to dine. Visitors soon discover that everything is made fresh, including the homemade pies baked daily. Whether you’re looking for a slice of heaven or a slice of fresh baked pie, both can be found during a visit to Edgewater Hilltop Par 3 Golf & RV Park.